TENMAT is a key supplier of low noise, bespoke bearing components into many major high speed rail projects across Europe. These high-performance, durable products allow the industry to build upon its high levels of safety for the long term. 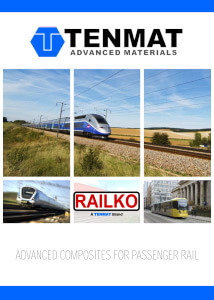 Typical applications for TENMAT components in high speed trains include gangway tread plates, tilting system support plates, door opening system bushes, anti roll bar bushes, tilting system support plates and current collector bushes. Our impressive portfolio of previous projects includes flagship systems such as SNCF’s TGV trains, Deutsche Bahn ICE trains, and Alstom Pendolino trains.